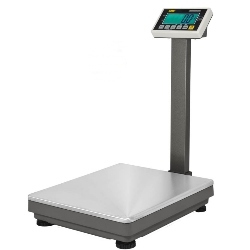 UWE UFM-L NTEP bench scale, Large 2 Inch Backlit Display, Rechargeable Battery. Large 19.7 x 23.6" platform. Capacities available include 120 lb, 250 lb, 600 lb, and 1200 lb.